4 Hour Project! Great pattern for beginners just learning to knit!! Super easy, one stitch, and 4 color changes. LOOM: (4) Zippy Looms and (4) Zippy Corners 20 pegs total, or Zippy Master Set. YARN: Approx 160 yds total. 5 balls of Mainstay Chunky Yarn #6 super bulky yarn was used in sample. 2 colors: (2) white and (3) teal. 100% polyester chenille. NOTES: A=White color yarn; B=Teal color yarn. 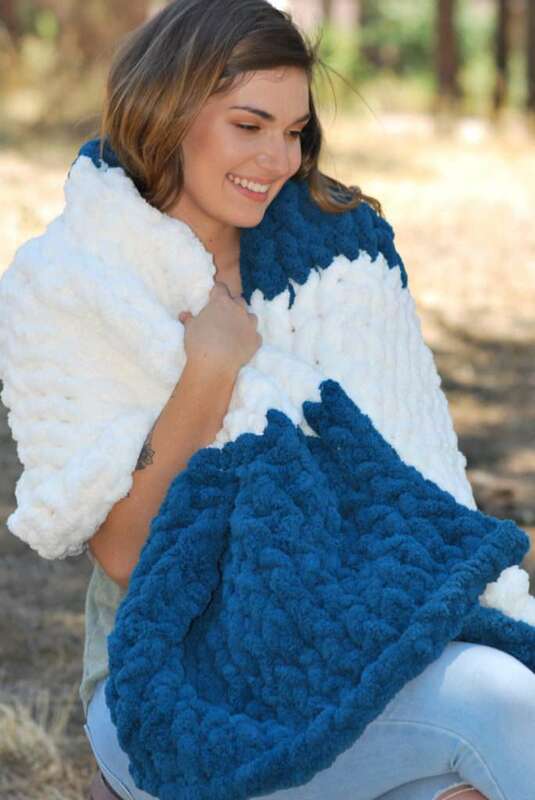 This blanket is knit in 5 color sections. One ball of yarn per section. Assemble (4) Zippy Looms and (4) Zippy Corners in a square, total 20 pegs. Mark the first peg with a stitch marker. Using color B, cast on 20 stitches, prepare to work a flat panel. Row 1: E-wrap knit to the end of row. Repeat Row 1 until end of yarn ball and you are back to first peg. Tie on new color A at the beginning of the next row. The first peg is wrapped with new color. Continue alternating colors, one ball of yarn per section. After 5 sections of color, ending with B teal color, bind off with basic bind off method. Weave in ends. Hello. 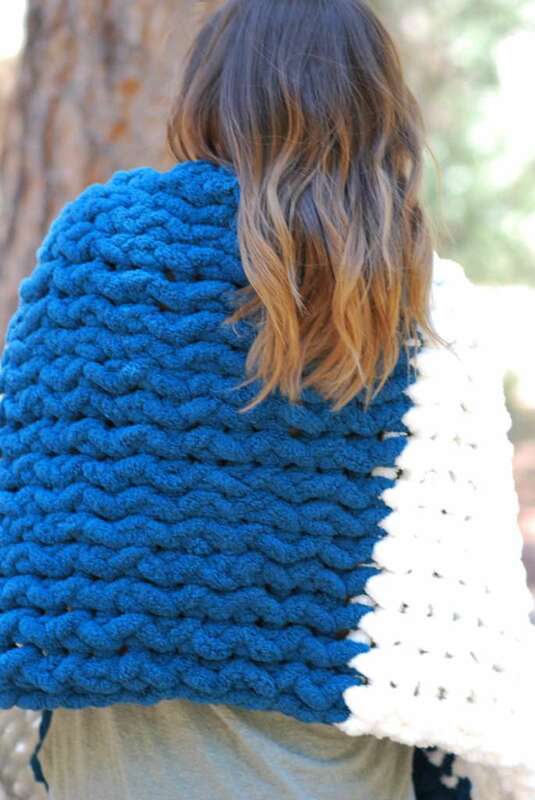 Is this a blanket or a shawl? As in the picture it appears to be more likea shawl. What wool did you use for this? Can this be made o the all in one loom using worsted woool?